Programming, controlling, designing, light shows, laser shows, special effect shows for night clubs like BCM Planet Dance in Mallorca, AIDA Cruise Ships Germany, and so on. 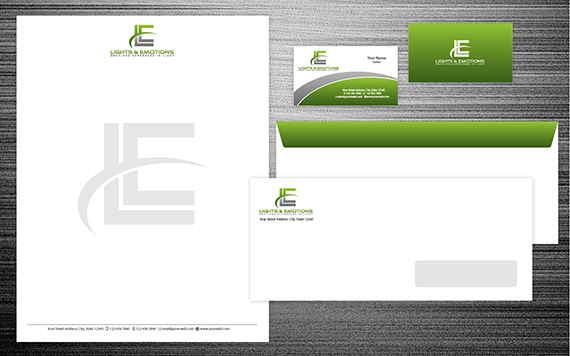 They were looking for a creative logo design for their website as well as business card and stationery design for their business. They launched a contest at 110Designs and selected Gold package that includes Logo Design along with Business Card & Stationery Design in just $174. They initially want our design professionals to have a ‘light bulb’ in the logo design concepts. But later on they decided to lift the restriction of using ‘light bulb’ and asked to do logo designs without using it. Check some of the designs they received in their logo design contest. Also take a look at selected business card and stationery design. This really is a risk-free, quick and simple way of getting a fresh, custom-made logo design & stationery design at a wonderful price! Start now.